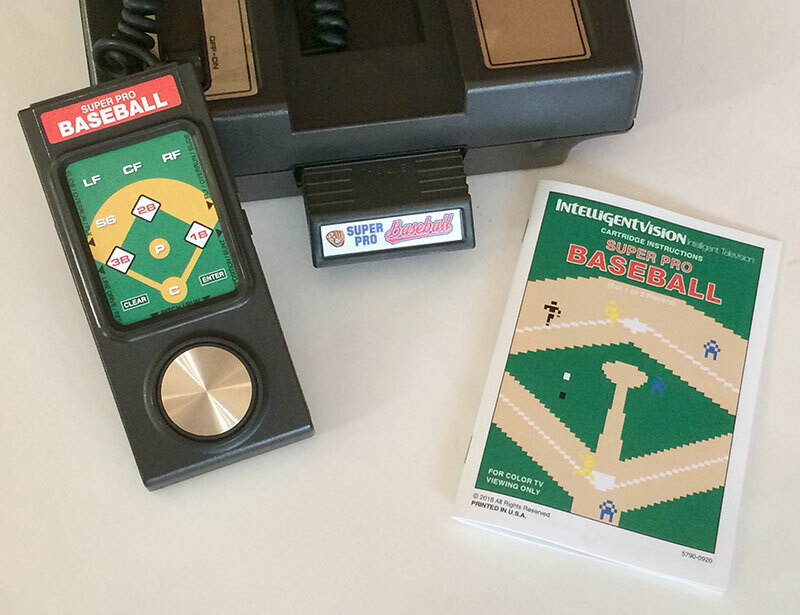 When Intelligentvision announced Super Pro Baseball, I was really excited to see an enhanced version of one of my favorite Intellivision games. With David's permission, I decided to create a kit for the game, complete with a full manual, overlays, and a cartridge sticker. To make it easy both for myself and people who want one for themselves, I set up a web page to provide information and handle ordering. While I was at it, I added a few other kits that people might be interested in, some catalogs, and some free downloads of other game materials I've done. I'm calling it Intv Extras, and it's ready to go. 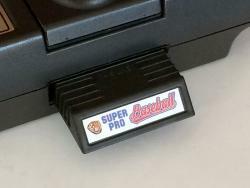 The Super Pro Baseball kit comes with a self-adhesive cartridge label. It's also got two authentic overlays, which are an updated design and reflect the new features of Super Pro Baseball. 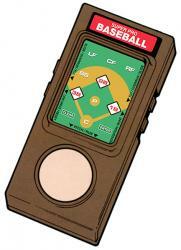 The instruction manual is a 12-page rework of the World Championship Baseball instructions. 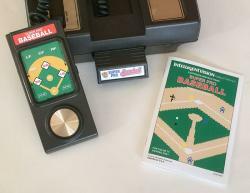 When you buy the ROM at Intellivision.us, you get an electronic version of my manual and an overlay image. If you'd like a physical copy of these plus a cartridge label, I'm asking $7 plus postage for the kit. You can order at my Intv Extras page. BTW, if you're looking for a Super Pro Baseball box, the1hatman is the guy to ask. He's the box whisperer! I've got a few other game-related kits available at Intv Extras as well, along with some free downloads of other stuff. Also, if you're looking for either the Intellivision Revolution or Intelligentvision catalog, I've got copies of those, too. I expect to begin shipping most of these items by the end of the week. If you've got questions, send me a message. Thanks. Edit: The link doesn't seem to work for me, but I pasted the link in the browser and it worked. Order placed! Edited by JasonlikesINTV, Thu Dec 1, 2016 12:25 AM. Crazier things have happened, but I don't have plans to tackle Mystic Castle right now. Edited by mthompson, Thu Dec 1, 2016 12:25 AM. Cool , thanks and ordered a SPB kit .. Hopefully a box goes comes available soon.. The screenshot graphics arguably belong to Intellivision Productions and would require their permission. In general you don't need permission to publish Instructions/overlays, except for protected graphics, and like this case where its made to look like its produced by Intelligent Vision. Everything, including the game, looks nicely done. Sets will be ordered today! I plan to inventory and order this weekend. And I would be willing to help with Mystic Castle (after the holidays). I can do manual writing. How long will the Super Pro Baseball items be available for sale? I've got a decent supply on hand. I don't expect to sell out right away, but if there's enough demand, I can make more. Did you hire a professional photographer? Those pics look great! All kits and catalogs ordered so far have been shipped out. Thanks for making them available!!! 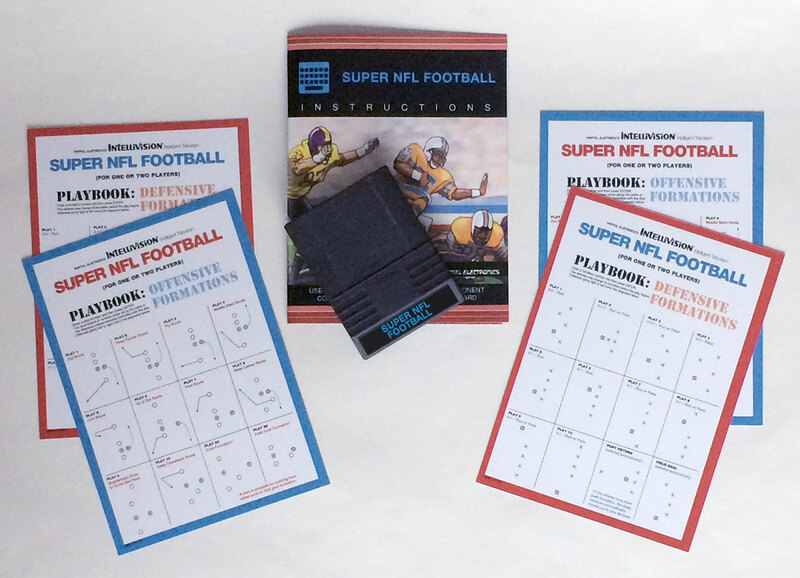 By request, I've added 5x7 printed cards of the playbook I did for Super NFL Football. You can still download the PDF to print your own, but if you own the game these will fit in the box nicely. The manual & cartridge are in the photo for scale. Cards are printed double sided, so this photo shows 2 sets. I've also got the "kid-friendly" version of the Intelligentvision catalog now. Just select it on the menu when you order. 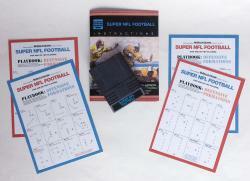 I just ordered copies of the Super NFL Football playbook cards. those are cool. just got some too. Thanks Mark for making all these goodies - hopefully you will do Mystic Castle upgrade in future as well!